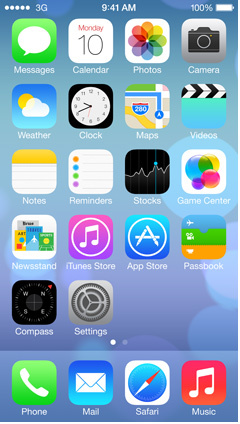 Well, as expected – say goodbye to skeuomorphism and hello to flat. It’s been half an hour since the WWDC ended and all through the event I kept seeing parts of the new iOS that I did not like, to begin with I hated the icons, they looked like Apple had fired all their designers and used a free source icon set they found on Google. But when picking the photo to use for this blog post, my opinion had already changed. I like them. Change is never good, except when it is. At first people don’t like change if it is too different, it puts people off when they have to sway away from what they are used to. This is what will happen with iOS 7, people will see all these changes and their minds will go into overdrive trying to work out how this new system works. This in turn will make them want to hold onto something they are used to – iOS 6. We all wanted change and that is exactly what we got. I imagine it will be a huge success and people will grow to like it. I can already feel myself liking the things I didn’t like to begin with, I’m sure this will continue. Throughout the announcement I couldn’t help but think that if Steve Jobs and Scott Forstall were still at Apple then this (flat design akin to other phones) would not have happened, the move goes against everything that Apple used to stand for. A lot of people will argue that Apple has changed since Steve passed, we are still waiting to see if this will be a good thing. 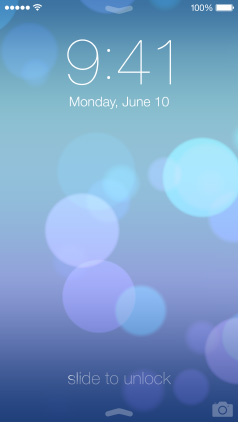 There are certainly some design elements that Apple could improve on in iOS 7, they could have done SO much better. 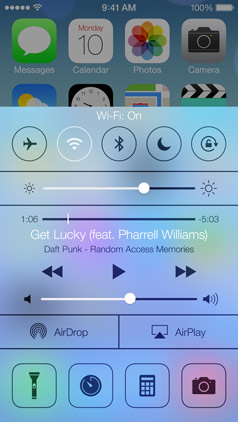 The look of “Control Centre” for example, is atrocious, they could have made it look so much nicer. To me, its the most disgusting feature I have seen on a phone, and goes against everything Apple have ever said about “Simple, beautiful design”. If you really think about it though, this is only the start of flat design at Infinity Loop. It has its flaws but I will still use it in hope I will grow to like the new designs or they will change. Thinking back to iOS 1, it was horrible compared to iOS 6. Here is to iOS 13.